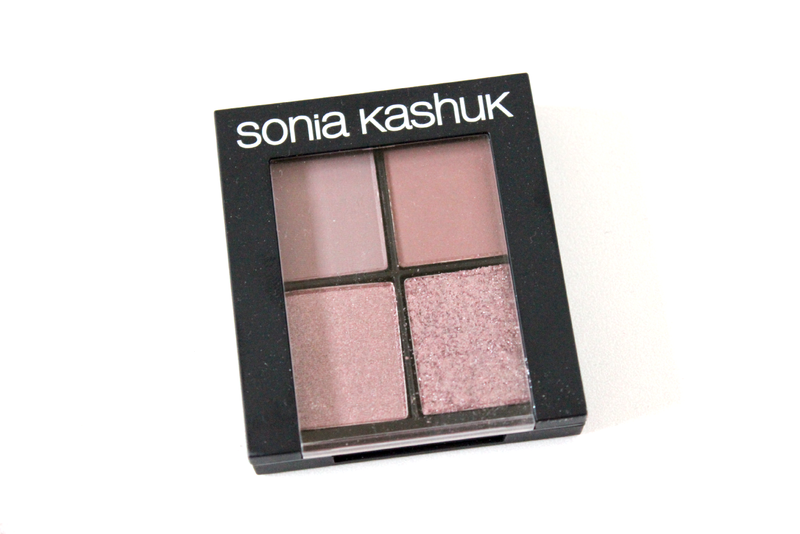 Hey everyone, today I have an exciting post on the Sonia Kashuk quad in Textured Mauve. I recently purchased this quad from Target for only about $4.00. 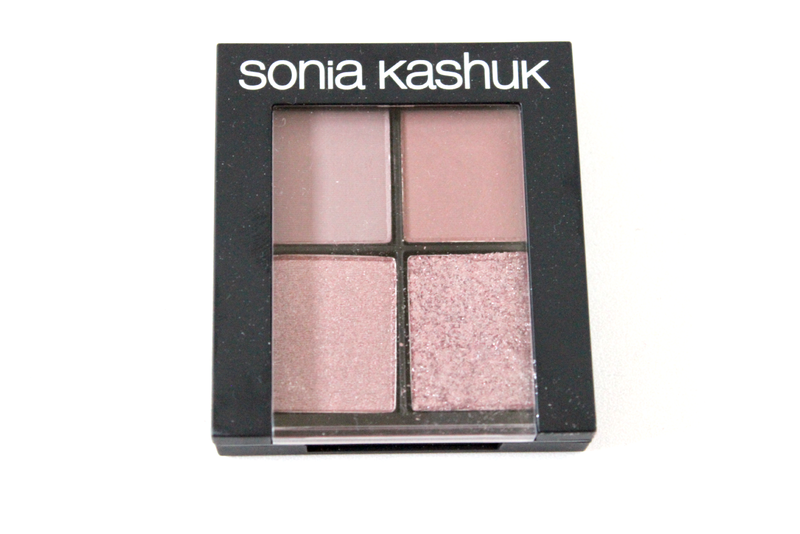 I was super excited because I always wanted to try Sonia Kashuk eyeshadows, but they are usually extremely pricey for a drug store eyeshadow. So when I saw it was on clearance I just had to pick it up. 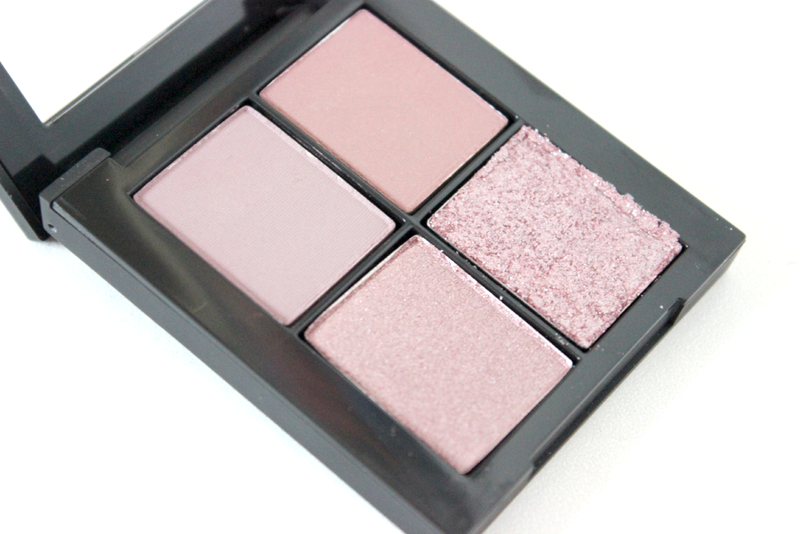 This quad comes with 4 colors (obviously) and the first two shades are matte, which I am literally in love with. The first color is more of a taupe purple shade and the second matte shade is more of a brown taupe color. 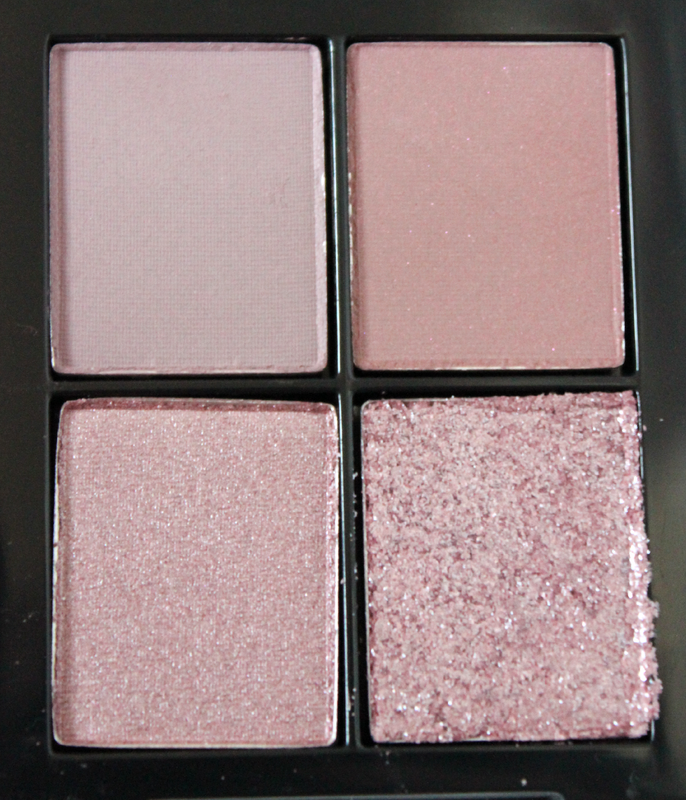 Then for the bottom two shades we have a pretty shimmery purple/pink color, and then lastly we have a pink glittery eyeshadow. All 4 shades remind me of some of the colors in the Naked 3 palette, mainly because they all have that pretty rose type of under tone. I was extremely impressed with how buttery these eyeshadows were. I never felt such buttery eyeshadows in my life and I fell in love right away. 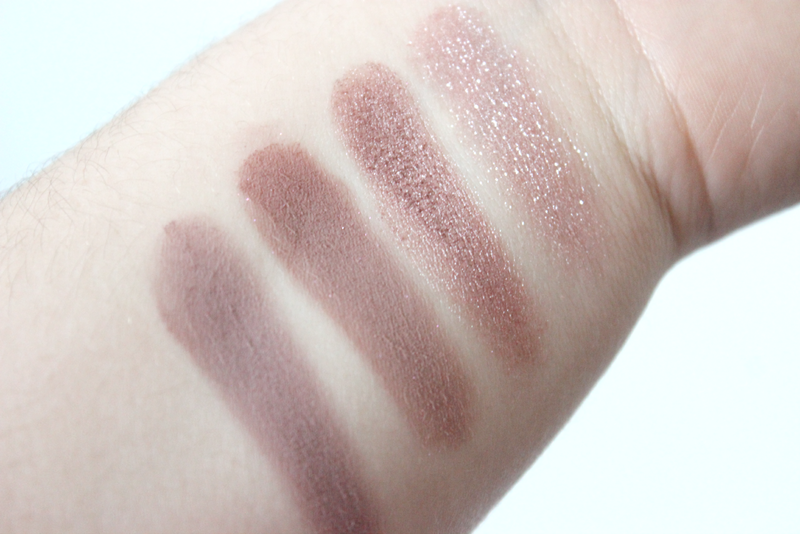 The pigmentation was perfect and the colors swatched so easily. They are not chalky at all and super easy to blend. I do not have anything bad to say about this quad. And I know for a fact I will be purchasing more of these!